Hello, my name is Michelle, and I am a cheese addict. One of my favorite obsessions, errr, I mean foods, is cheese. I literally cannot live without it! We all need a little ricotta! I was feeling inspired after a tasting at Austin’s new Italian food truck, Patrizi’s. Patrizi’s serves up fresh, traditional fare and offers patrons a piece of Italy right in the heart of Austin! I especially loved the pasta pomodoro served with fresh ricotta cheese and I thought “Why not make my own ricotta?” Pasta+Wine+Cheese=Brilliance! Ricotta cheese can make plain, drab food taste like a decadent feast. It can liven up weekday dinners, satisfy a sweet tooth, and can be used in place of a variety of cheeses such as Parmesan. Needless to say, I will never buy store bought ricotta again! It is too easy to make and tastes far better than the stuff sitting on the shelf for weeks. I made this batch of ricotta with whole milk and heavy cream I found at the grocery store. I would recommend using organic milk and cream if you can find it. I think it would make the cheese taste richer. If not, you can use products that are most convenient to you. It still turned out wonderful. There are many different coagulates you can use to create the “curd”. I chose lemon juice over vinegar because I thought the taste would be fresher. 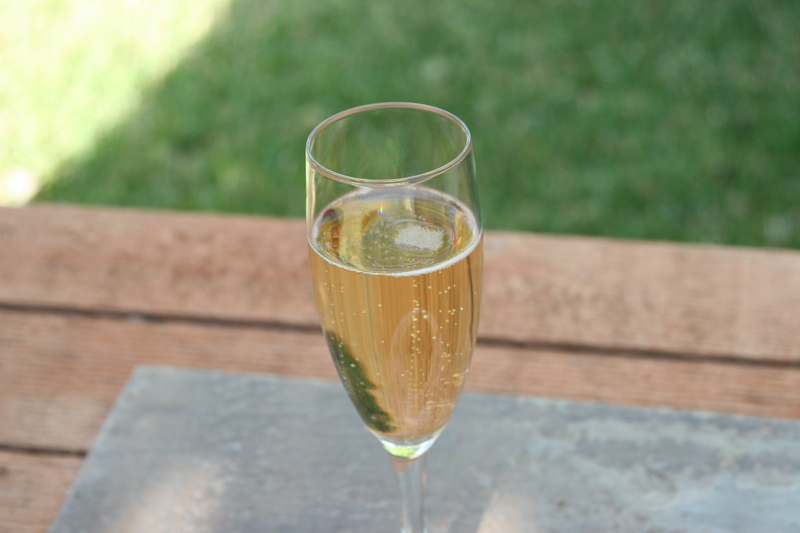 You can certainly use a white wine vinegar if desired. I use fresh ricotta on pasta, pizza, as a topping for toasted bread, or as breakfast topped with honey, walnuts, and raspberries. If eating with crackers or bread, I highly recommend adding fresh, cracked pepper and lemon or orange zest. Simple, but out of this world! Line a strainer with cheesecloth and place over a large bowl. Juice two lemons for the coagulate and set aside. Heat milk, cream, and salt over medium-high heat until liquid hits a roaring boil. This will take about 15-20 minutes. Stir constantly to prevent scorching. When liquid starts to boil, lower heat to simmer and add three tablespoons of lemon juice. Stir for two minutes until the curd starts to form. Turn off the heat and let sit for one minute. Pour curds and whey into strainer and cheesecloth. The whey will drain into the bowl. Let sit for one hour to pull the moisture out of the cheese. Discard whey (unless you want to use in other recipes) and refrigerate cheese. Ricotta will keep 3-4 days in a covered container. Sundays are perfect for whipping up lovely sweets and enjoying the end of the weekend. 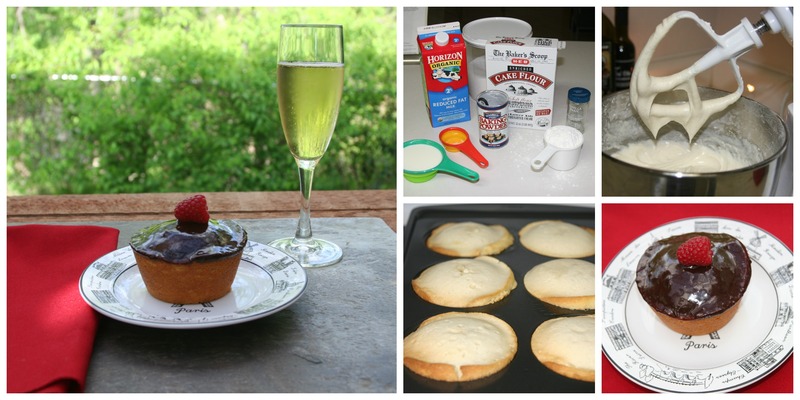 Today, I decided it was cupcake and champagne Sunday! I am very fond of springtime in Paris. Yes, I am still in love with the romantic notion of the city-I am such a sucker. I fell head over heels when I saw An American in Paris as a kid. I even had my wedding photos done in Paris 🙂 It is still my dream to spend an extended amount of time in the city painting and writing! One of my favorite pastimes while in Paris is visiting the pâtisseries. The pastries are truly works of art. They are sometimes too beautiful to eat! Today’s cupcake recipe was inspired by the rich chocolate ganache frosting that is often used on French pastries. I love vanilla and chocolate together so I decided to make a vanilla bean cupcake recipe. 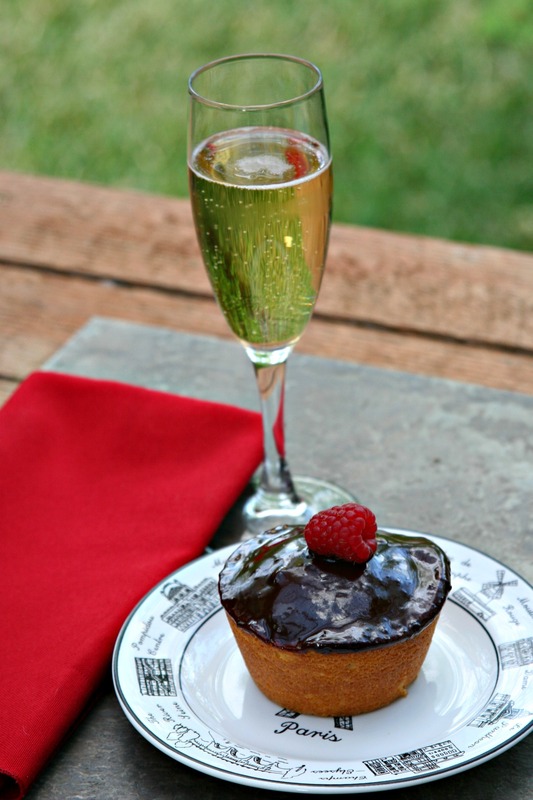 And, of course, champagne goes with chocolate! Vanilla bean and chocolate ganache cupcakes made my Sunday decadent and we all need a little decadence before the work week starts again! So, put on some music, dig out your pretty plates and napkins, and Winedown! Preheat convection oven to 350 degrees. Spray cupcake pan with baking spray. Cream butter and sugar together until light and fluffy. Add eggs one at a time and continue to beat until combined. Scrape vanilla bean into butter mixture and mix thoroughly. Add flour mixture to creamed batter alternately with milk. Mix well after each addition. Beat an additional minute to make sure all ingredients are combined. Spoon into prepared cupcake pan filling each cupcake halfway. Bake approximately 24-28 minutes or until inserted toothpick comes out clean. Cool 10 minutes before removing cupcakes from pan. Place cupcakes on wire rack to allow to cool completely. While cupcakes are cooling, prepare the ganache topping by heating the cream over medium heat until bubbles start to form on the edges of the pan. Do not overheat! Pour heated cream over chocolate chips and stir until chips are melted and cream is combined. Let chocolate rest for 5 minutes before using. When cupcakes are cooled, hold the cupcake upside down and dip the tops into the chocolate ganache. Place cupcakes on a plate for 10 minutes before serving to allow the ganache to set. Top cupcakes with raspberries or strawberries for a little extra elegance! Easter is fast approaching, and if you are like me, you will be cooking up a large meal for family or friends. 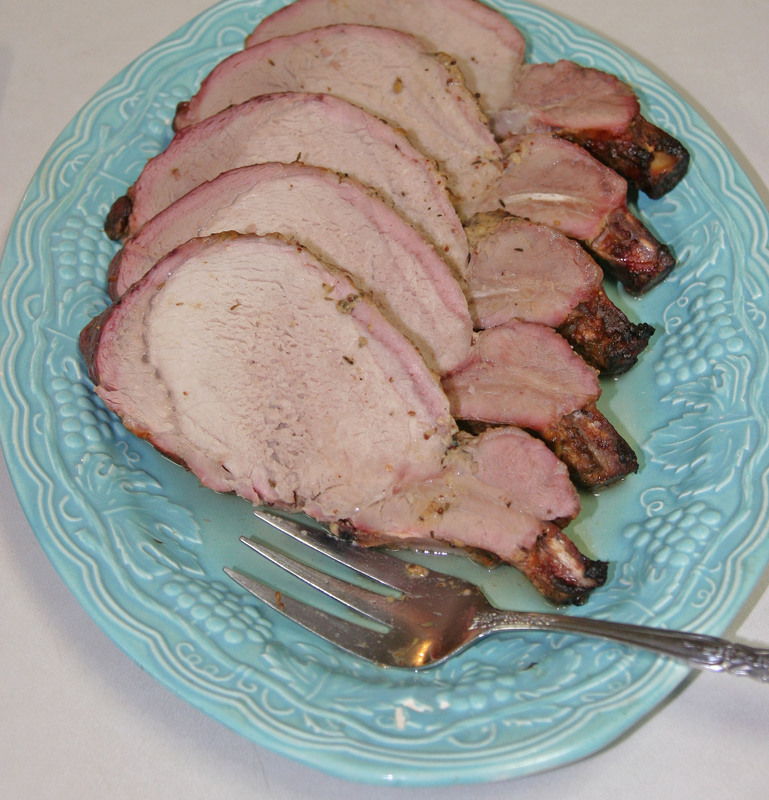 Why make a boring ham when you can easily make my smoked honey Dijon and herb rack of pork! I am a Southern girl, but my passion is Italian cooking. The best way to combine Italian recipes and my Texas heritage is to BBQ or smoke the meat! It gives the meat a nice intense flavor while still preserving the savoriness of the mustard and herbs. This is one of my favorite recipes to make for family style dinners or holidays. It feeds a lot of people and makes excellent leftovers! And I can’t forget the wine! 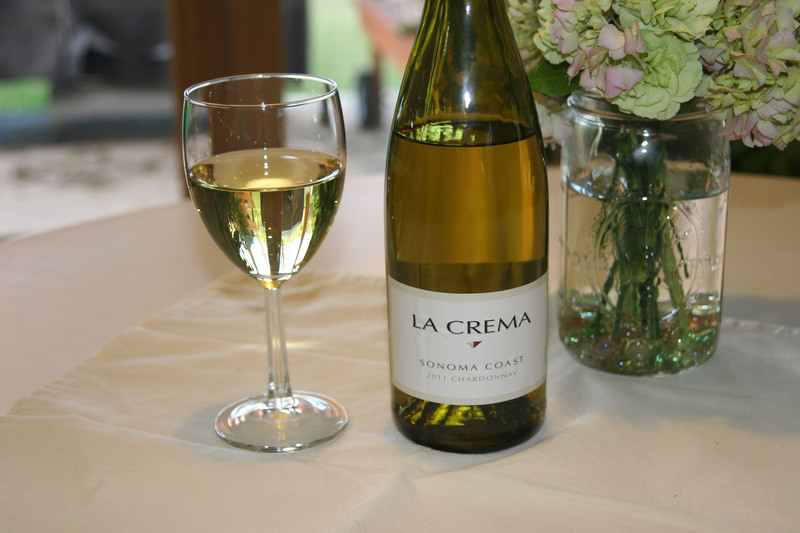 La Crema Chardonnay is a nice selection for smoked meats. It complements the smokey flavor and also adds depth. I have to say it is one of my favorite Chardonnays. Enjoy and Winedown! Rinse pork with cold water and pat dry. Place pork rack on cookie sheet and trim excess fat. I buy the Costco rack of pork because it gives me the best bang for my buck. You could also go to your local butcher and ask for a smaller rack of pork if desired. Sprinkle both sides of pork with salt and pepper and allow meat to come up to room temperature. While pork is resting, combine Dijon mustard, whole grain mustard, honey, dried thyme, and garlic in small bowl. Mix well. Slather half of the mustard mixture on one side of the pork. Cover meat well. 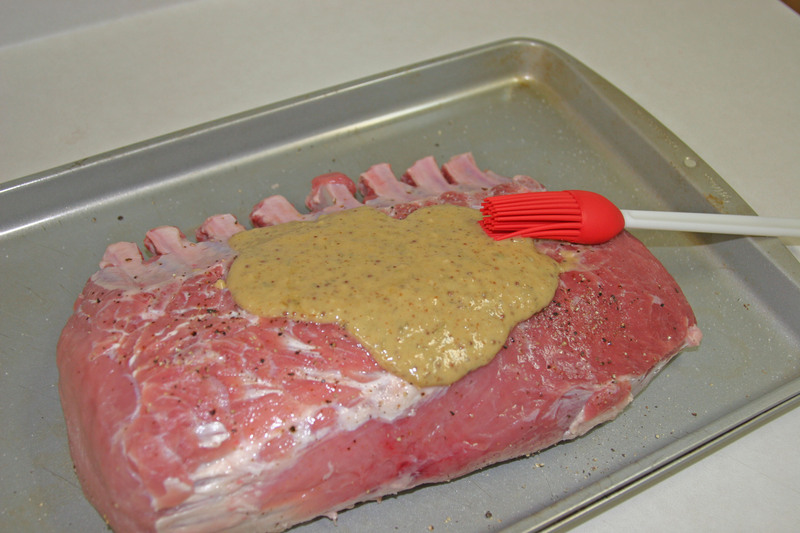 Turn rack over and slather the rest of the mustard mixture on pork. Let set for 20 minutes while preparing Big Green Egg smoker. Bring Big Green Egg (or smoker of choice) to 250 degrees. FYI, you can also roast the rack of pork in the oven at 250 degrees, but you will not get the added “smoked” flavor. I read that you can add a small pan of water and wood chips to your oven to mimic the smoke, but I have never tried it. Place rack of pork on indirect heat. Smoke approximately 3 hours or to an internal temperature of 145 degrees for medium. Take pork off Big Green Egg and wrap in foil. Let pork rest 30 minutes. Carve rack into individual pork chops. I use Shun knives in the kitchen and the Shun carving knife is great for cutting meat. I cannot live without a decent knife in the kitchen. They are expensive, but well worth the money! Buon appetito! 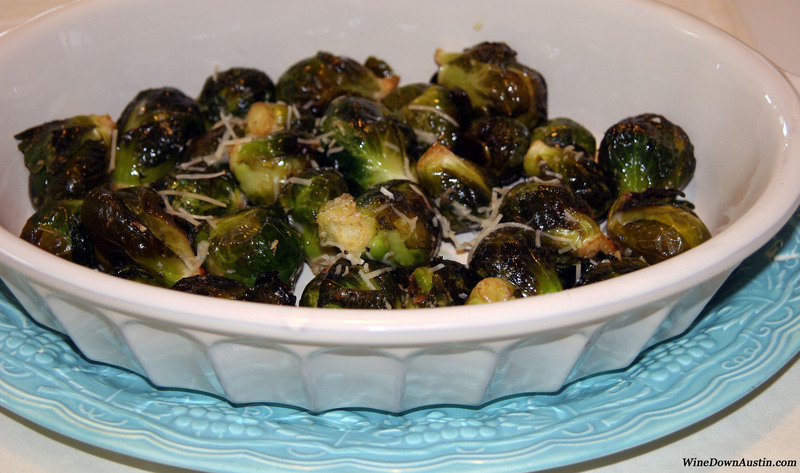 Look for my Easter side dish posts in the next few days!